The problem remains if both Arial and Arial Narrow are copied from a Windows installation. With both Arial and Arial Narrow installed, duplicate entries are shown, and both show the regular variant. 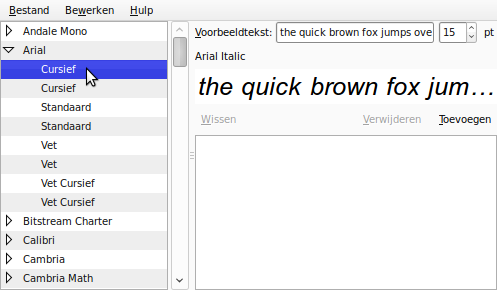 If I remember correctly, on 9.04 the font was correctly recognised, and both the regular and narrow would show up under Arial in the tree view.